Architecture (is) a theatre stage setting where the leading actors are the people, and to dramatically direct the dialogue between these people and space is the technique of designing. 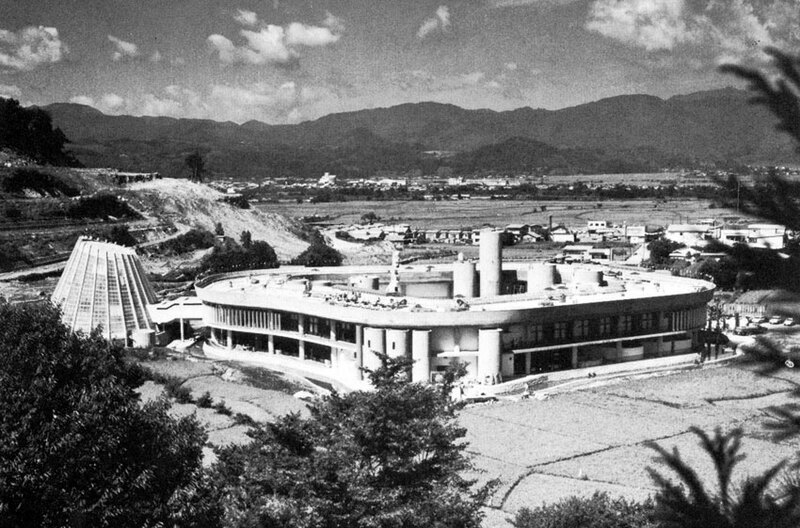 Yamagata Hawaii Dreamland, a resort center in an island city, was a miniature megastructure by Kurokawa. 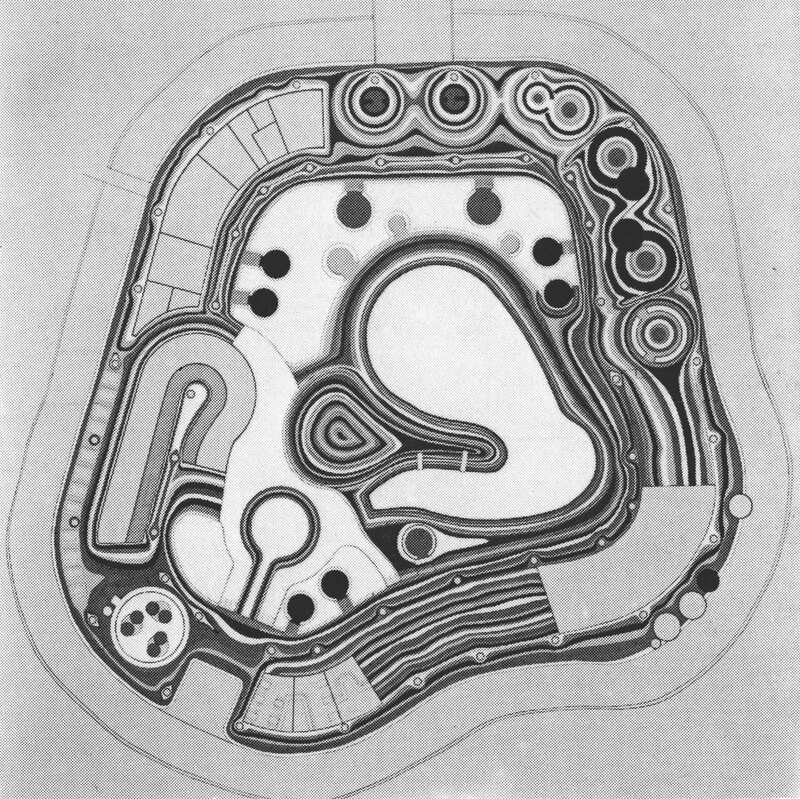 The design concept evolved from the architect’s theoretical project Metamorphosis (1965), which envisioned an organic city consisting of a number of interlocking loops, each forming a self contained urban quarter. 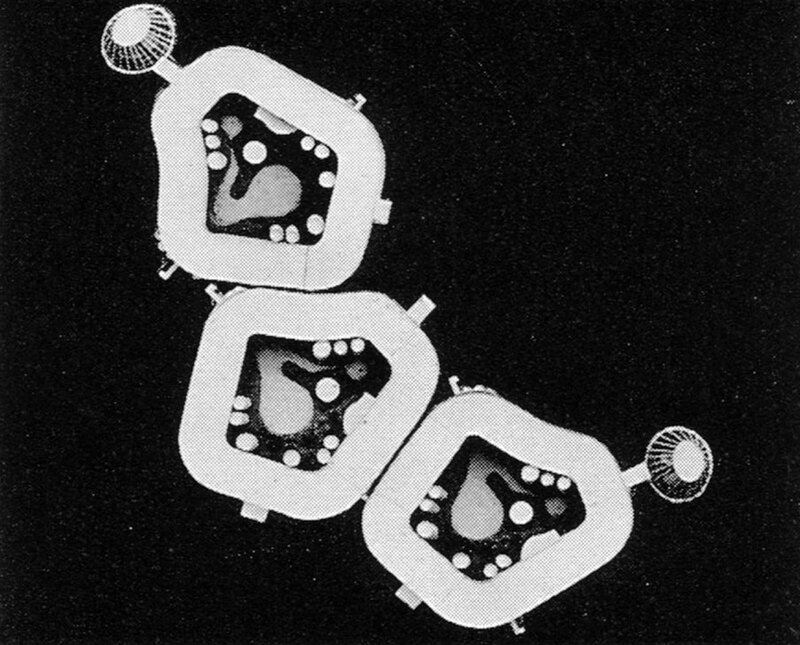 When the city expanded, it would grow simply by adding more loops, mimicking the duplication of cells. As a result, the city would stretch out in a natural linear pattern distinct from both the radial form of most existing cities and the rigid linear configuration of the earlier mega-forms like Tange’s Tokyo Bay project. Metamorphosis confirmed Kurokawa’s commitment to the “architecture of life.” The loop was first employed in a master plan for Hishino New Town in Aichi, which was organized into three loop-shaped residential districts with civic and commercial facilities located along their interfaces. 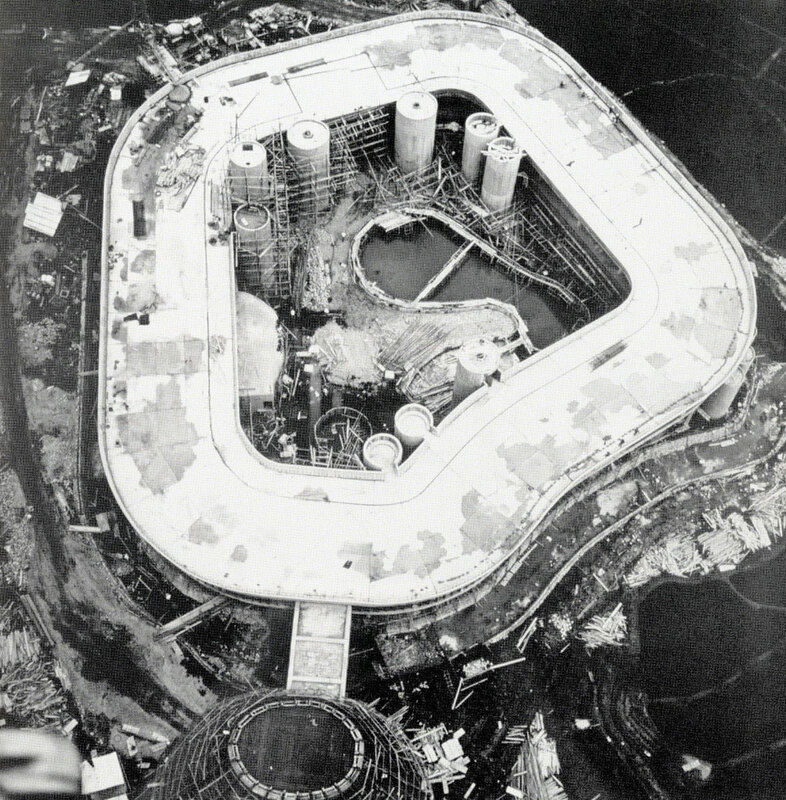 In Yamagata, Kurokawa built only one loop, although he was expecting the resort center to expand in the future, at which time more loops would be added. 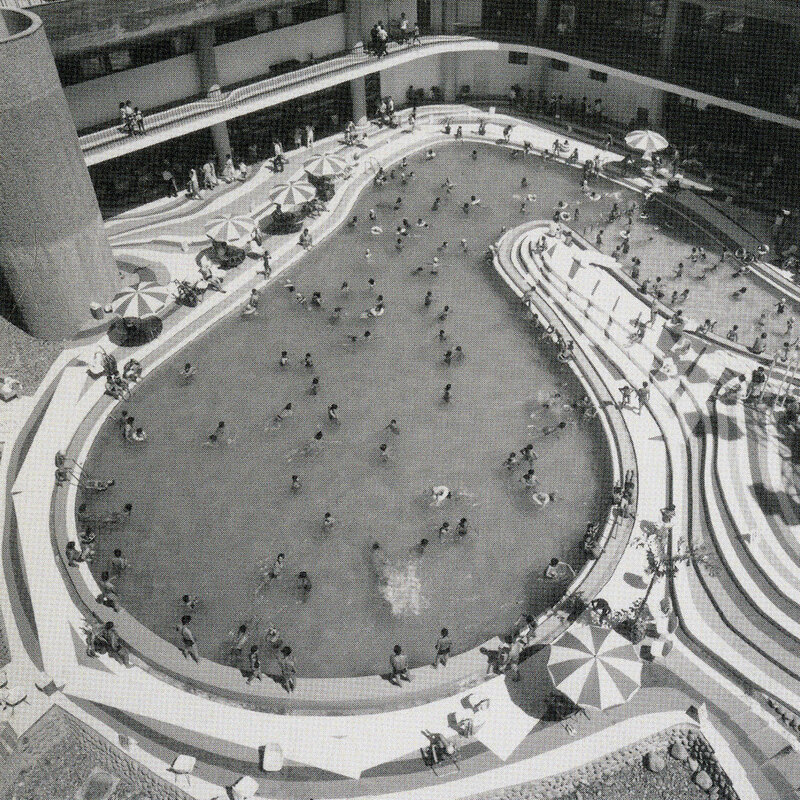 Forming the loop was a two-story building that housed a hotel and restaurants, with a large swimming pool at the center. 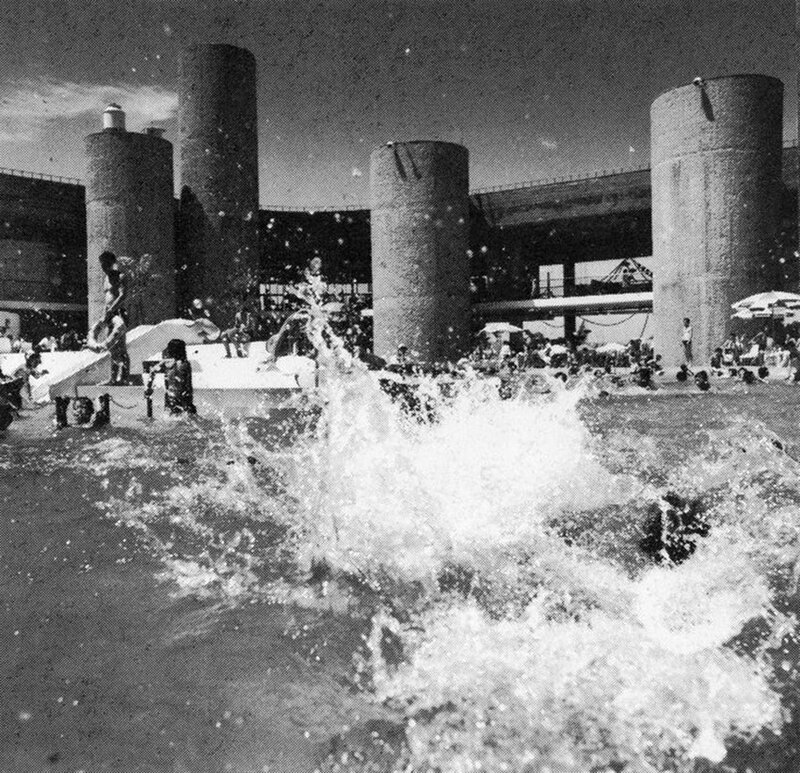 Between the building and the pool were a few concrete towers of different heights providing circulation and services for the complex. The origins of Japanese leisure activities were pilgrimages and excursion trips. Travel and recreation are related to religion, pleasure and romance. 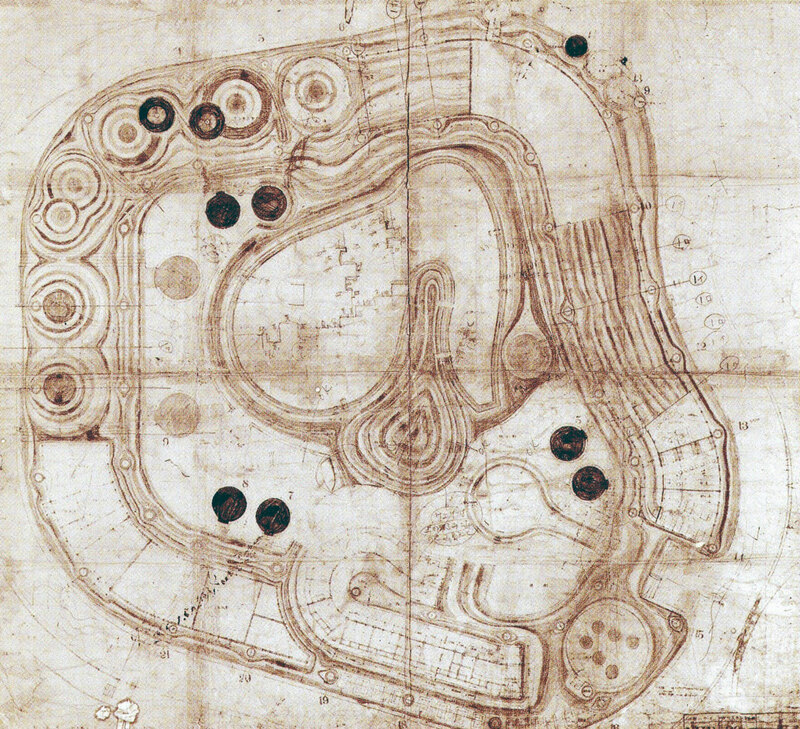 This plan signifies architecture for travelers. People move around inside the center which is filled with entertainment facilities. Cite this article: "Resort Center Hawaii Dreamland in Yamagata / Kisho Kurokawa," in ArchEyes, May 3, 2016, http://archeyes.com/resort-center-yamagata-hawaii-dreamland-kisho-kurokawa/.